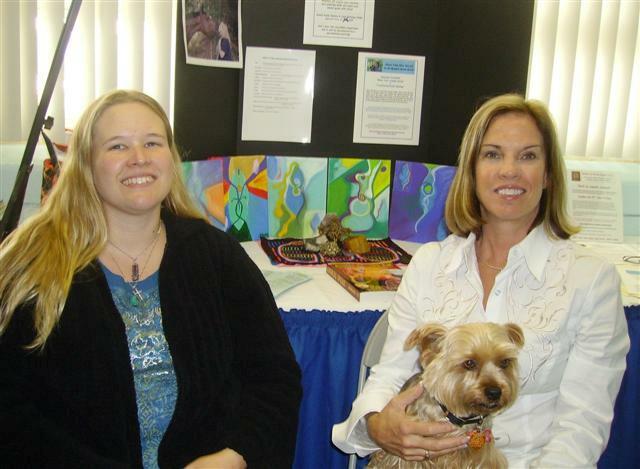 Feb 26 2007 - The metaphysical fair was a great event. I would like to thank Unlimited Horizon's for putting it all together and letting me be a part of it. 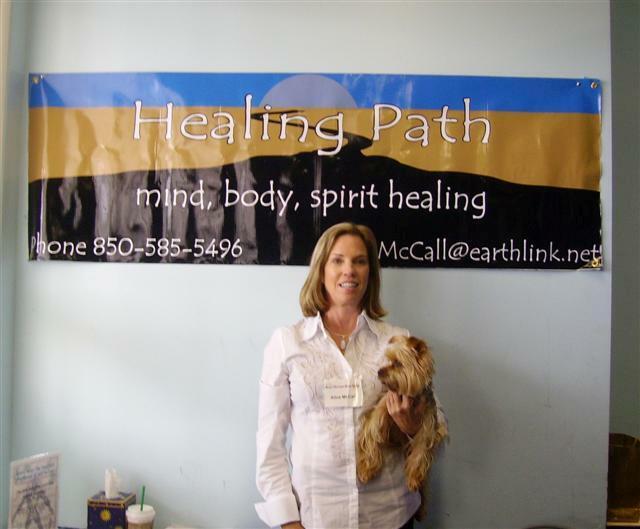 The picture below, is of Carol, an attendee that Shannon and I had a joint session with. I connected Carol with her animal guide, an owl, as Shannon painted this awesome aura painting. Thanks Shannon for being such a great person to share a booth with! I'm also happy to announce that I have a new CD available, "Put Yourself First". It was recorded in a local studio, and I feel really good about the final product. The CD includes my talk, "Put Yourself First", and a guided meditation. To anyone out there in the Shalimar area, I am putting together a monthly workshop at The Center for Healing, Learning and Massage. Similar to the group in Pensacola, the topic will vary from month to month. If this sounds like something you might be interested in, email me. The first event is on March 28th, "What are Chakras?" A great workshop, especially for those just learning about the subject. Make sure you take a look at the "Upcoming Events" page. I have added several new events for March and April. March is already shaping up to be a busy month! Don't forget, that all events require registration and in most cases the space available is limited! Feb 13 2007 If you would like to see photos of my trip to Panama, visit this link. I'm excited to have several great events in the coming weeks, including the 5th Annual Metaphysical Fair. I will be sharing a booth with Shannon Faulk. These pictures above are of Shannon, Keta and I at the 2006 SOLE Expo. I'm looking forward to sharing a booth with Shannon again. If you are able to come to the Metaphysical Fair, you will have a great time. Come enjoy speakers from all backgrounds, including me! I will be speaking on Sat at 3:30 on "The Importance of Putting Yourself First." I will be offering 30 minute sessions as well as, Shannon and I are teaming up for combo sessions. Shannon will paint the change in your aura while you have a session with me! Feb 2007 - New website unveiling! I hope everyone likes this version of the website. Please email me if you have any problems, or suggestions. Check back soon because I will be sharing some pictures of my recent travels!